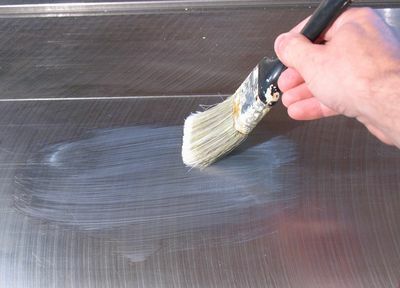 There is much written about wax formulations to apply to your table saw and other cast iron surfaces to protect them and keep them slippery. I always thought that was a little complicated, and other than the occasional squirt of WD40 on the surface, I never did anything to the cast iron on my table saw. That is, until I accidentally spilled a little bit of water based floor varnish on my new table saw. Not wanting the table saw to get rusty from the water based varnish, I grabbed some wood shavings, and rubbed it off. It all came off cleanly, with no rust and no visible remainders. But I noticed afterwards, that the cast iron felt smoother and more slippery where I had spilled and wiped off the varnish. So I decided a little bit of water based varnish on the table saw didn't do any damage, and actually enhanced the surface. So since then, I have deliberately brushed water based varnish on the cast iron table. Not too much, just enough to cover the surface. Within a minute of applying the varnish, I rub it off again with wood shavings. 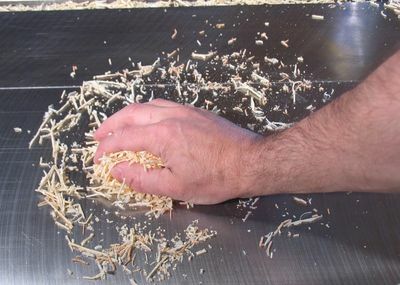 This takes a bit of vigorous rubbing, but you can feel once you got most of it off, how the shavings slide more easily. Its a really quick treatment, and doesn't require me to buy anything that I don't already have. The key though is to use a very slippery varnish. 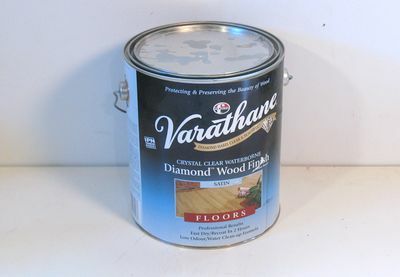 I am actually very happy with the Varathane floor finish. It costs about 1.5x as much as regular water based wood finish, but its made for the abuse that floors get, and its slippery. So only use this procedure with varnish that comes out fairly slippery on wood. I haven't tried this with oil based varnishes, but my guess is that an oil based varnish would not stick to the iron as well as a water based one. As long as the procedure is done quickly, there isn't enough time for the iron to get rusty, so the water in the varnish is not a problem.